Original Bracelet for the 67-9313 ‘Speedy’ – Finally Nailed It! One odd thing about the catalog image is that the push-buttons on the black dialled model are shorter than the white, and the crown looks smaller too. 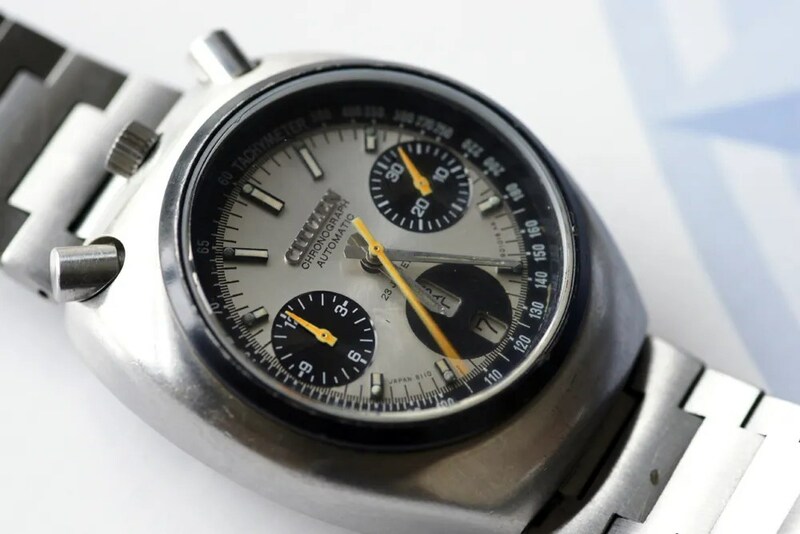 However, according to my case parts catalog from 1977 the part numbers for the two models are exactly the same…..
10 Responses to Original Bracelet for the 67-9313 ‘Speedy’ – Finally Nailed It! Great job, guys! The original bracelet or strap are the final touch for the vintage watch. But as we can see in here, it could be a really hard task to trace what there have been originally. Excellent! These puzzles and solving them are the most intriguing part of the watch collecting hobby. I was wondering if the dial in the model 67-091177 has a dial code end in KA. 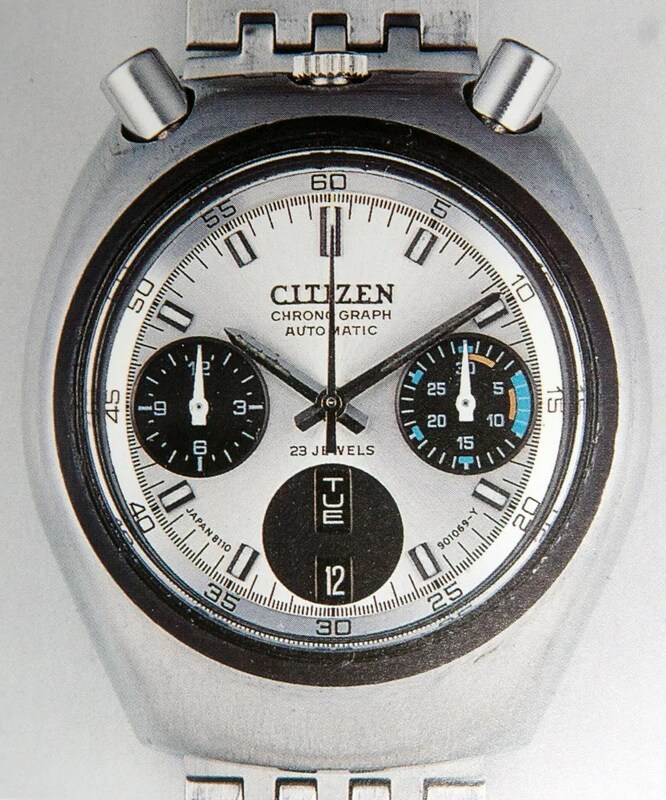 some of the citizen bullhead i see have the Y marking after dial code. so my question is whats the difference between the Y and KA dial code? is it where it was manufactured? I’ve got some info now on Citizen’s factories, so I shall see if I can make some sense of the letters on dials and case backs! !